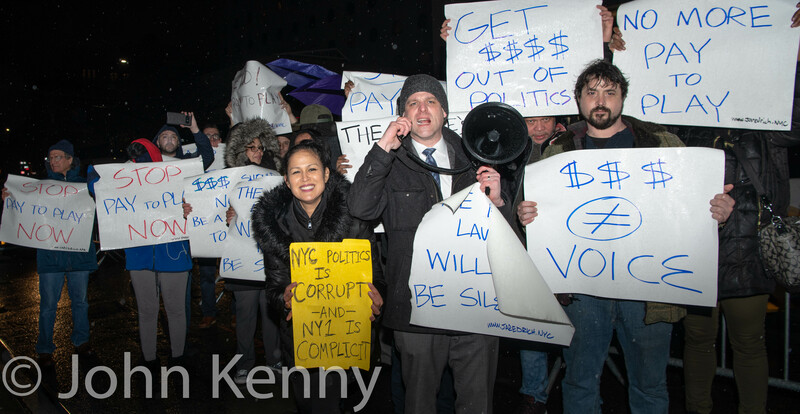 The first televised debate among public advocate candidates featured 10 contestants in an Errol Louis-moderated slugfest and a protest by one of the six candidates excluded from the debate. 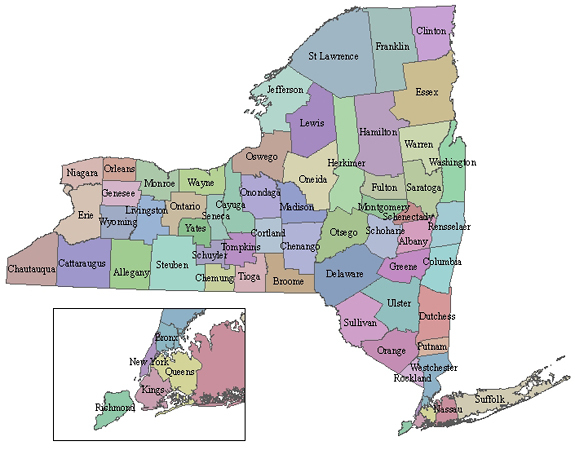 The debate was hosted and televised by NY1. Assembly Member Michael Blake held a City Hall Park press conference Wednesday to announce his endorsement by three fellow Assembly members and other political activists. Assembly Members Rebecca Seawright and Tremaine Wright joined Blake at the press conference to declare their endorsement of Blake. Blake announced the endorsement of Assembly Member Jeff Aubry, but Aubry did not attend. 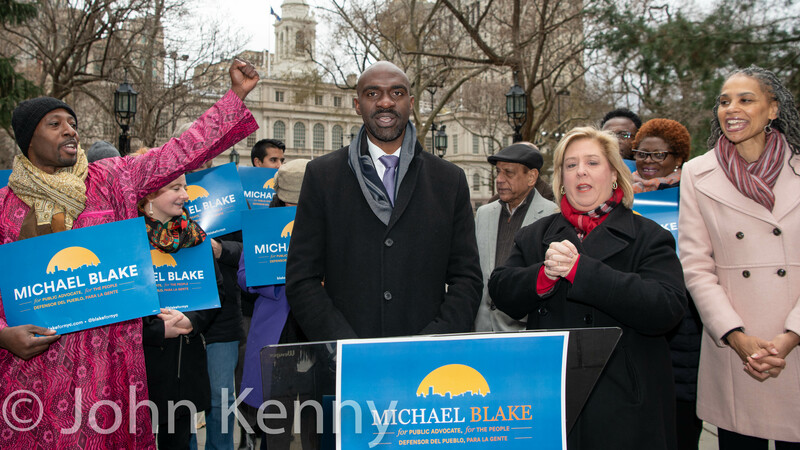 Maya Wiley, former counsel to Mayor de Blasio, attended and endorsed Blake.